The first four wrestlers have been confirmed for this year's Survival of the Fittest tournament. 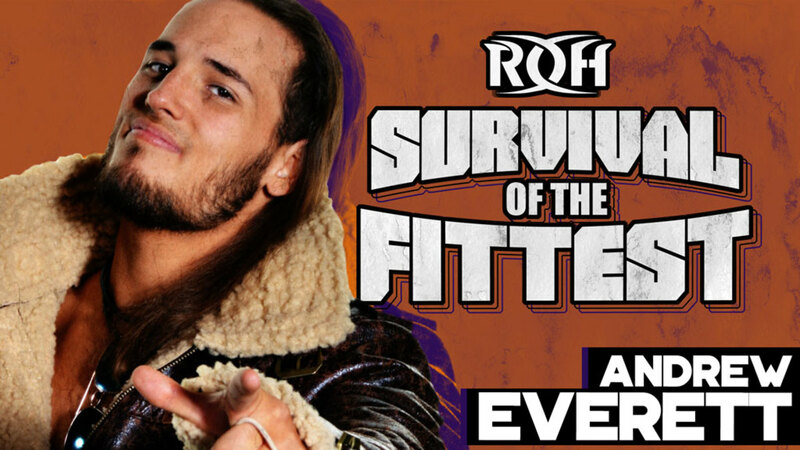 Ring of Honor announced Andrew Everett and Jonathan Gresham for Survival of the Fittest today. They join Tracy Williams and Marty Scurll in the lineup for the one-night tournament, which will take place in Columbus, Ohio on November 4 and air live on HonorClub. The first round of Survival of the Fittest will lead to a six-man elimination match in the final. The winner will receive a future shot at the ROH World Championship. This will be the first time Everett has wrestled for ROH since 2015. Last month, Everett announced that he had been granted his release from Impact Wrestling. He thanked the company for the opportunities he received there and noted that he felt he needed to test the waters in free agency. Williams will be making his ROH debut in the tournament after departing EVOLVE Wrestling.